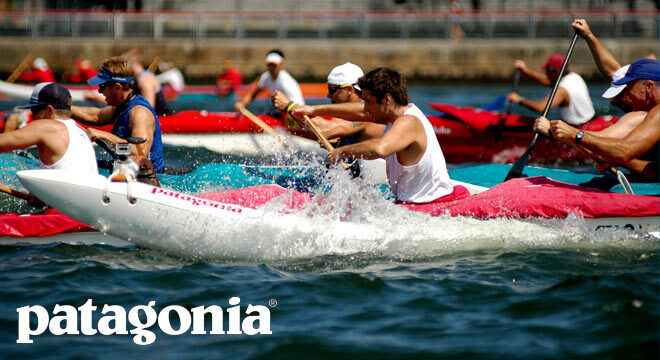 New York Outrigger is proud to announce Patagonia as an Ohia Level Sponsor for the 2016 Hawaiian Airlines Liberty Challenge. Patagonia will host the Hōkūle‘a Storytellers Evening at their Soho store on Thursday, June 9, which kicks off the 2016 Hawaiian Airlines Liberty Challenge. Patagonia is dedicated to building the best products with the least possible harm. Staying true to our core values during forty-plus years in business has helped us create a company we’re proud to run and work for. For us at Patagonia, a love of wild and beautiful places demands participation in the fight to save them, and to help reverse the steep decline in the overall environmental health of our planet. We donate our time, services and at least 1% of our sales to hundreds of grassroots environmental groups all over the world who work to help reverse the tide.